Jean-René is introduced to aikido in 1993 by Alain Davidson at the Universty of Montreal’s CEPSUM. He quickly joins the ranks of Aikido de la montagne. 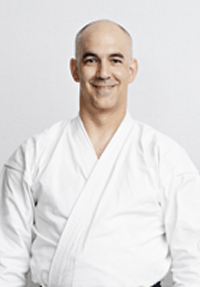 He receives his black belt in 1998 and is promoted to Yondan (4th dan) in 2011. 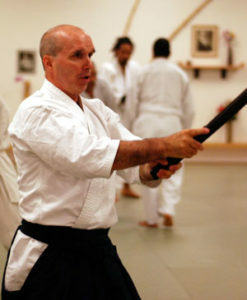 He has been taught by Sensei Claude Berthiaume and the senior instructors of the dojo for over twenty years. For ten years he attended numerous seminars by Kanai Sensei. Today he continues to perfect his skills by attending seminars by Yamada Sensei and other masters from Japan, North America and Europe.